After a couple of days at sea with liquid sunshine, a wee bit of rock and cooler weather – we woke up to the low land mass that appeared out of nowhere in the Atlantic ocean. 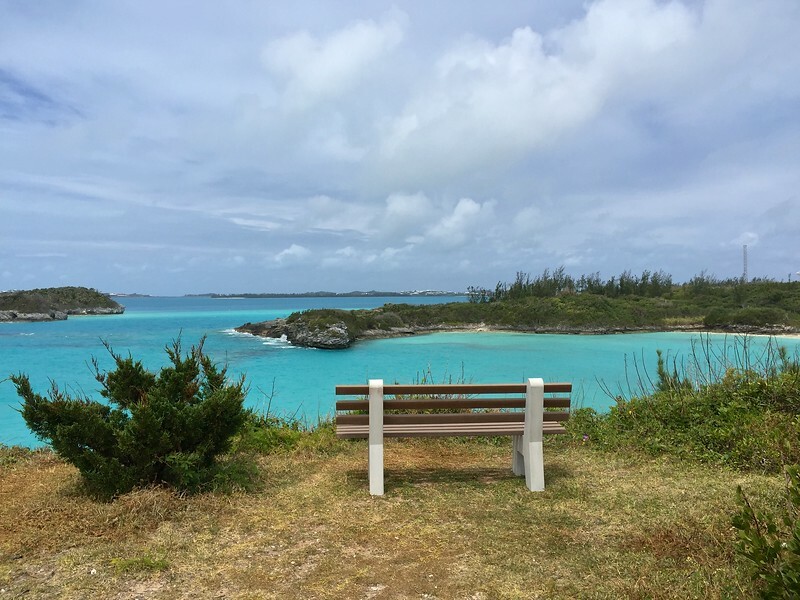 As I gazed upon the Bermuda islands for the first time in my life, I wondered how on earth people found these islands and why in the middle of nowhere, would they colonize them? 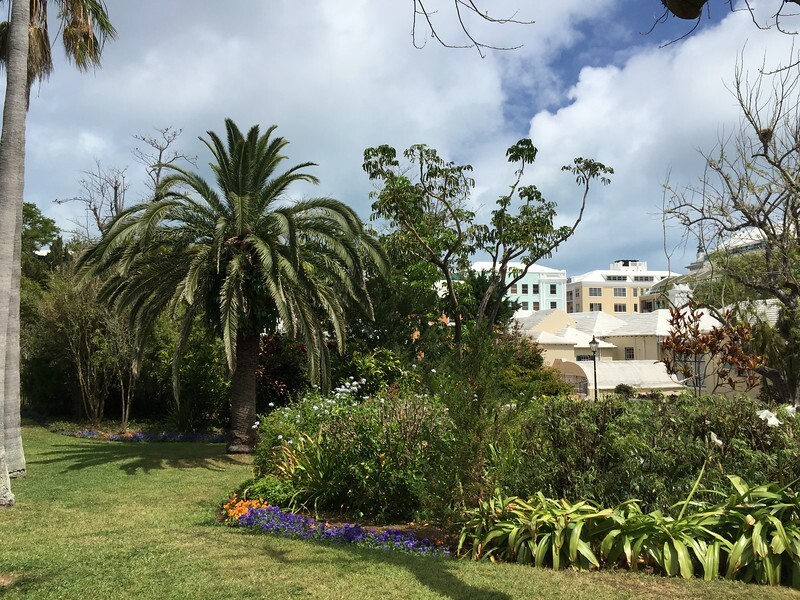 Then, as we approached the main island and the Royal Naval Dockyard, the beauty of this country began to reveal itself and my heart was captured by Bermuda. We woke up to a leisurely breakfast, as we would not meet our guide until 10:00 am. After another lovely breakfast in Luminae, we returned to our cabin to retrieve our gear for the day. 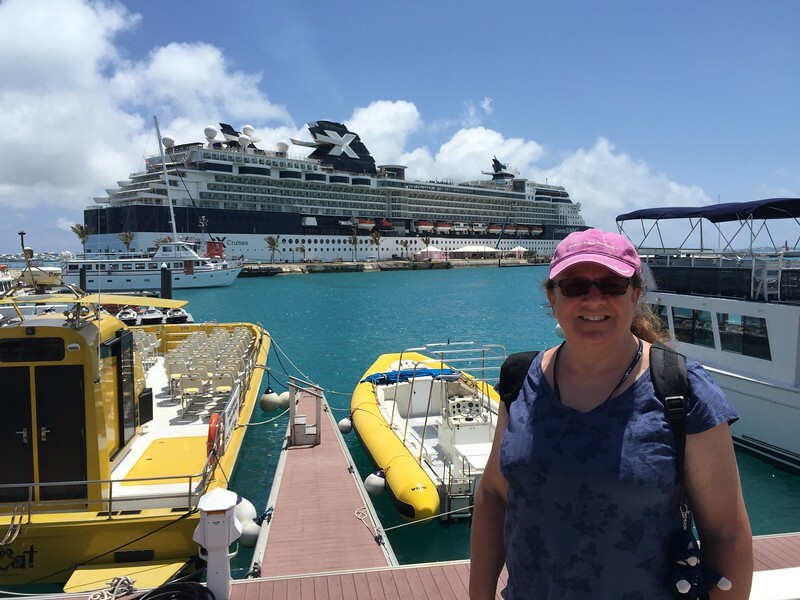 We were to meet Lynn Thorne from the Bermuda Audubon Society (BAS) for a 5-hour birding tour of Bermuda. 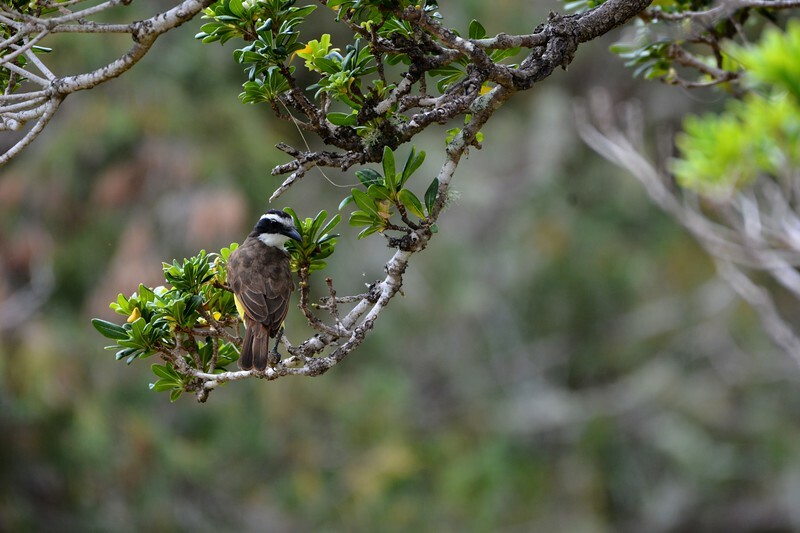 She was recommended by Andrew Dobson (BAS), author of A Birdwatching Guide to Bermuda. Lynn picked us up promptly at 10 am and took us to the other side of the island to Cooper’s Island reserve to view the Long tails and their breeding site. 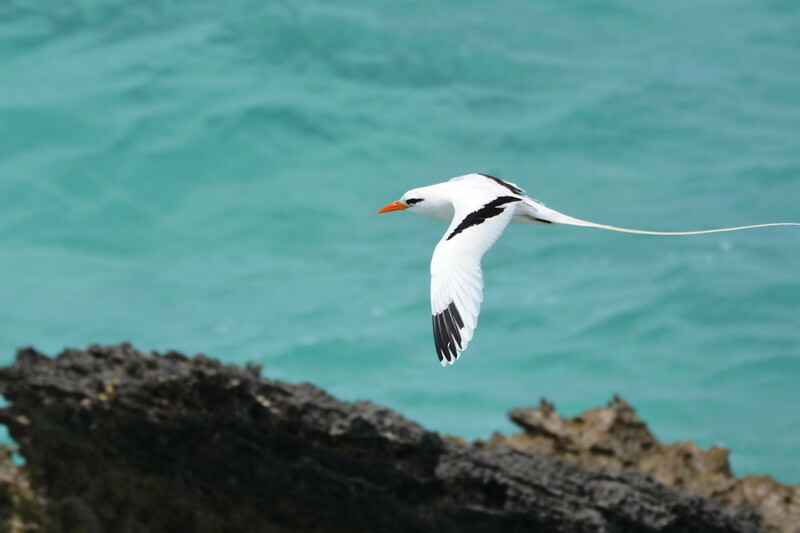 We really enjoyed the picturesque road trip, but truth be told, we saw long tails within minutes of arrival to Bermuda and saw them throughout the island. 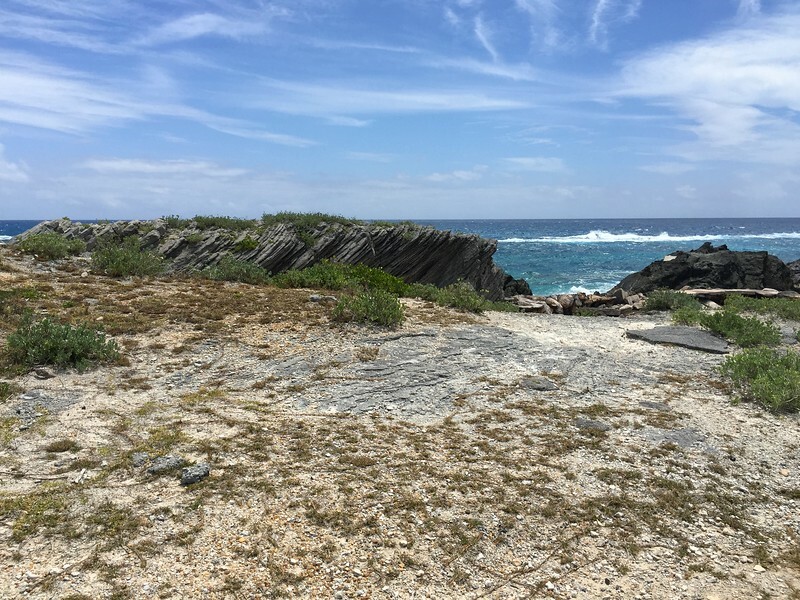 In the future, or advise to anyone else birding Bermuda, there are several other “hot spots” as listed in Andrew Dobson’s book that I would have spent my time at. 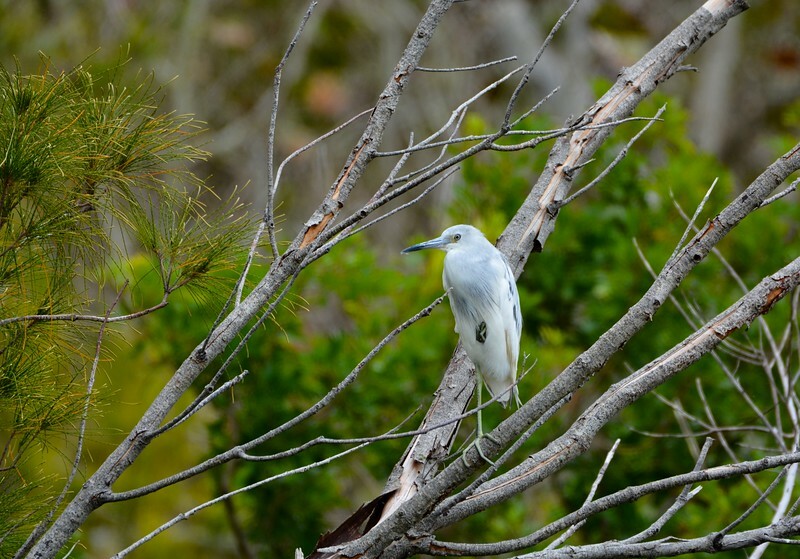 Again, we very much enjoyed Cooper’s Island reserve and were appreciative of the visit, however, considering we only had 5 hours of time to bird – much of that time was chewed up in travel. Following our visit to the reserve, we then made a spot at Spittal Pond. This was a great site for birding! We saw 98% of our birds here and our only regret was that we ran out of time with our guide by the time we got into the full swing of birding. 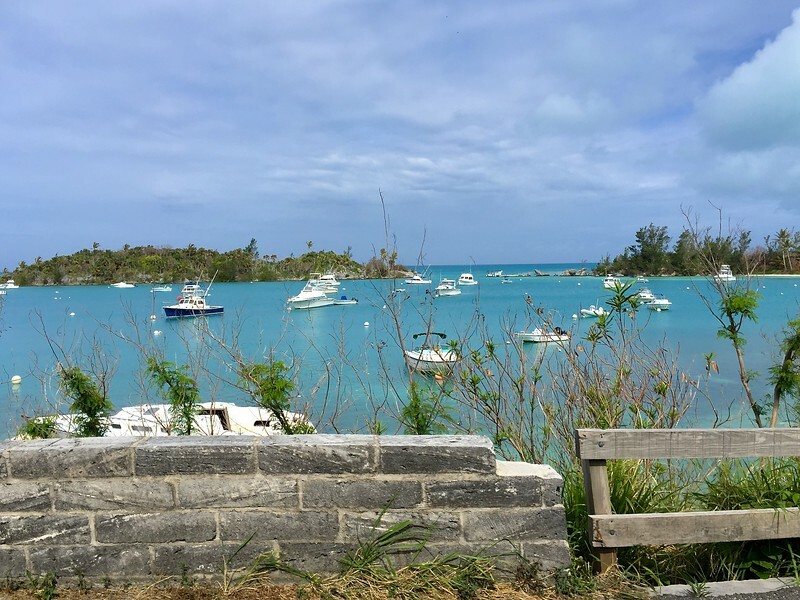 If we ever return to Bermuda, we would definitely seek out Spittal’s Pond and plan for a couple of hours to explore the area. 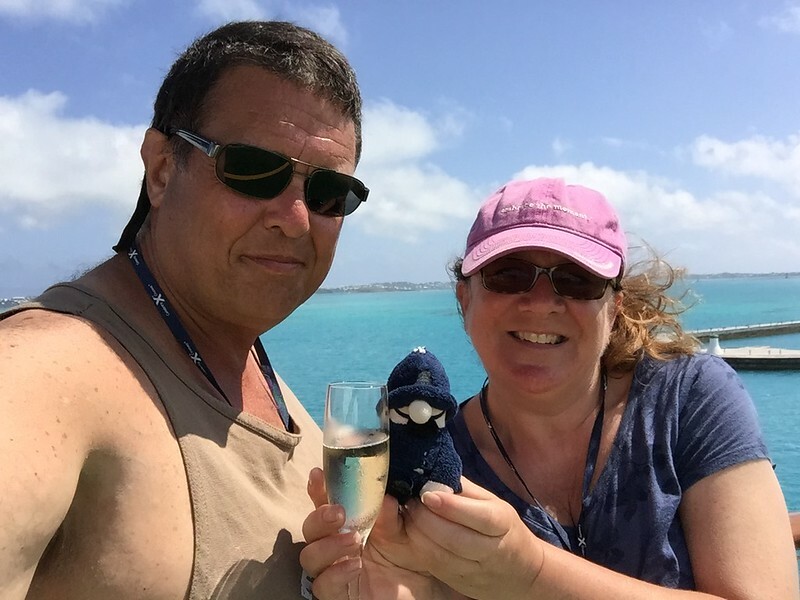 After birding, we returned to the ship to get ready for our next adventure! 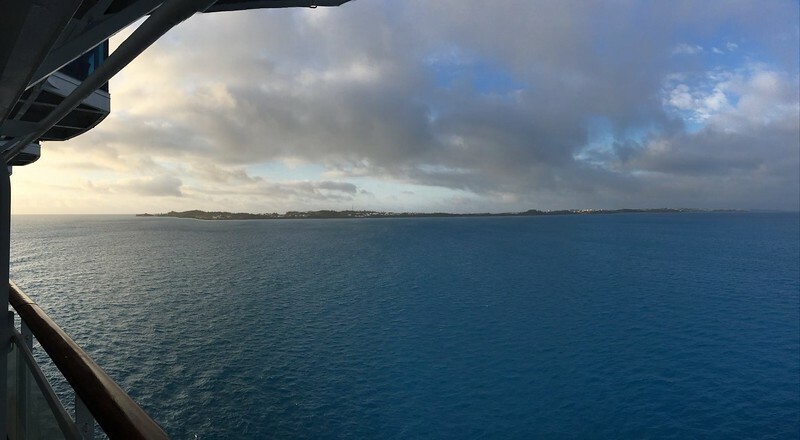 We had booked a “sunset cruise” with Captain Mike of Bermuda Wind. 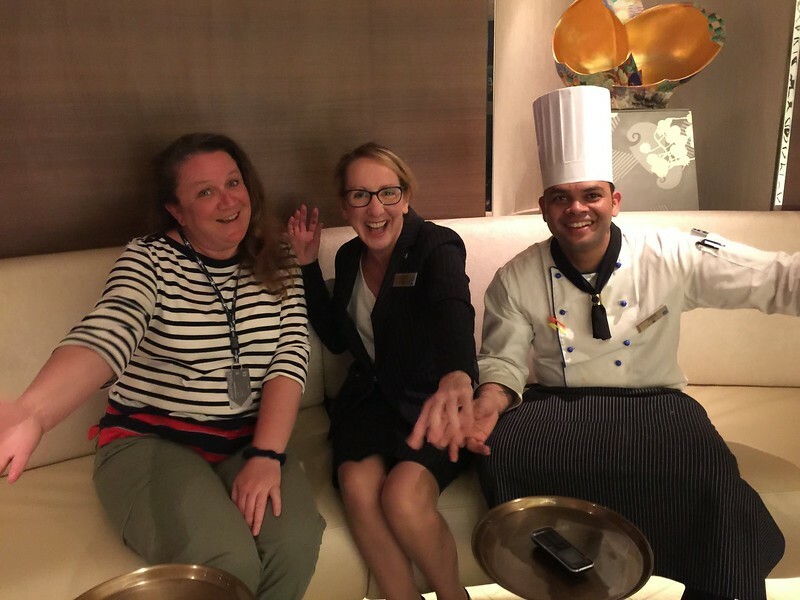 There was a small group of us who met on the “Cruise Critic Roll Call” and we met in Café Bacio before adventuring out to meet Captain Mike. Lo & Behold, Captain Mike docked his sailing vessel right beside the Summit! 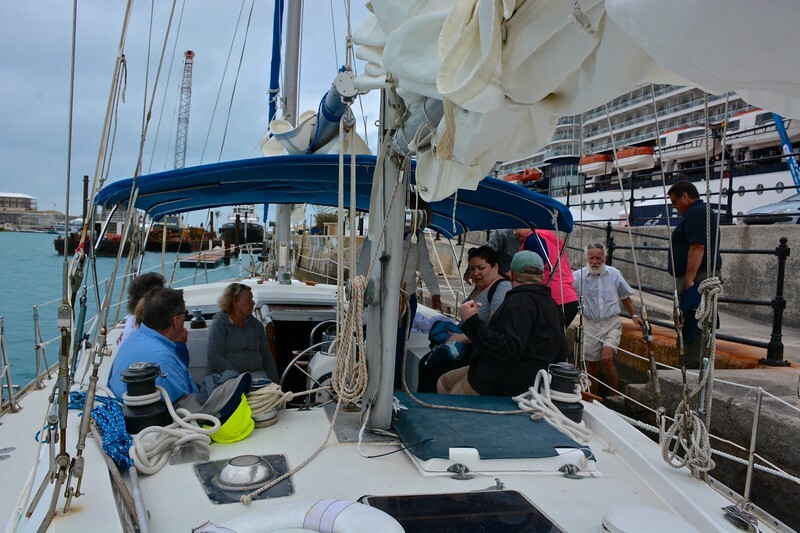 As soon as we disembark our ship, there was the sailboat waiting for us. I was gobsmacked how close he was able to berth his sailing yacht to a cruise ship. Captain Mike was a delight to meet and he safely navigated us towards the port of Hamilton and we sailed through several small channels and islands. 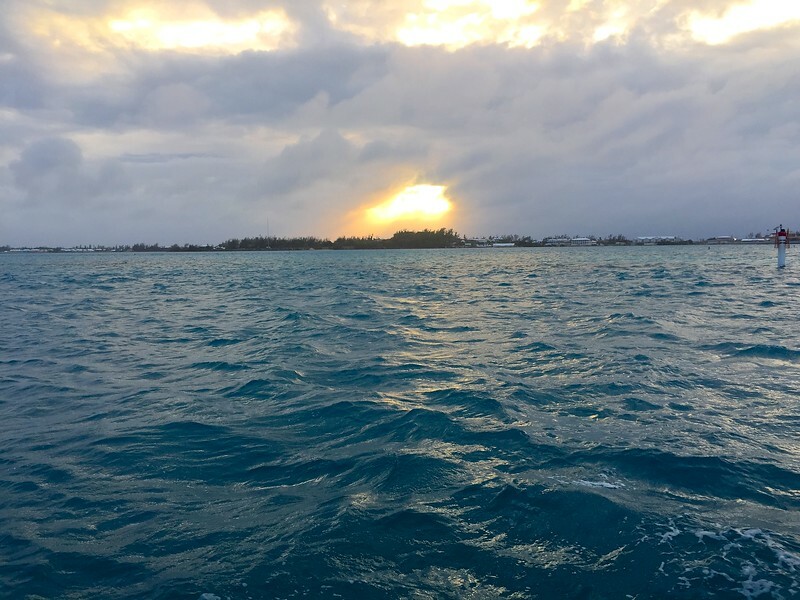 Although the forecast was daunting (cloudy, cool, and sprinkles of liquid sunshine), we thoroughly enjoyed our sunset sail with Captain Mike. Upon return to the Summit, we had dinner in Luminae and then retired early to bed. 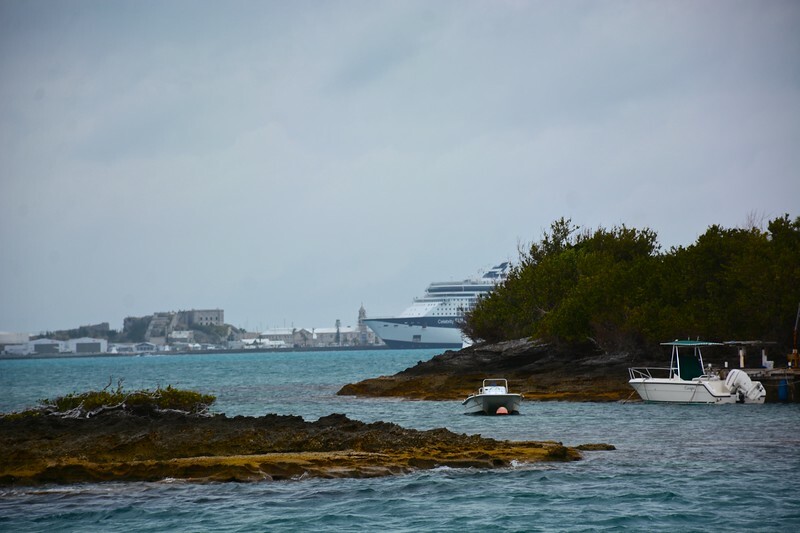 Today was a full day and we looked forward to exploring Bermuda on our own tomorrow, before setting sail in the early afternoon. 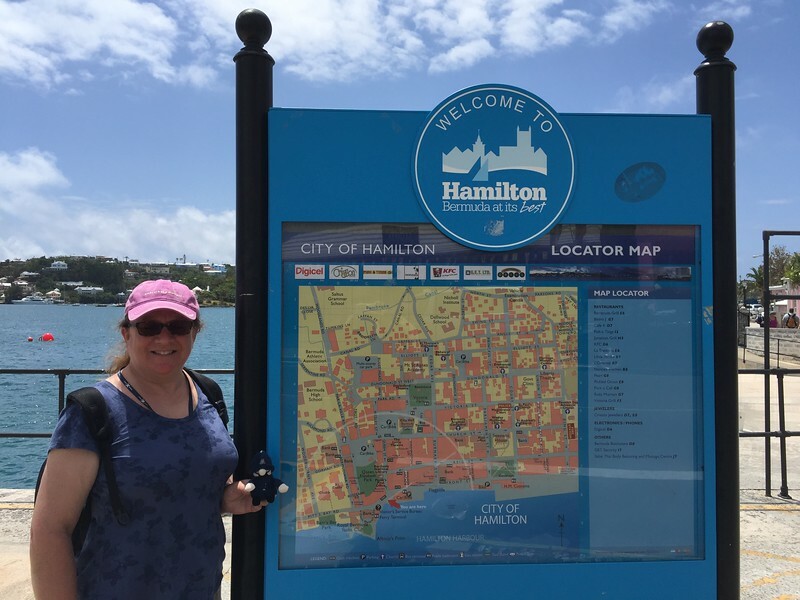 For our second day in Bermuda, we decided to keep it simple and venture off to Hamilton. We first went to the Port Authority to have our passports stamped and then we began walking towards the old fort. We somehow pooped out though half way to the Fort – it was a rather daunting uphill climb and we were both exhaustipated! We decided to head back down to the main area and that’s when we found Queen Elizabeth Park nestled in the middle of Hamilton. We strolled the grounds and then rested on a park bench for a while, enjoying the gorgeous weather and people watching in the park. 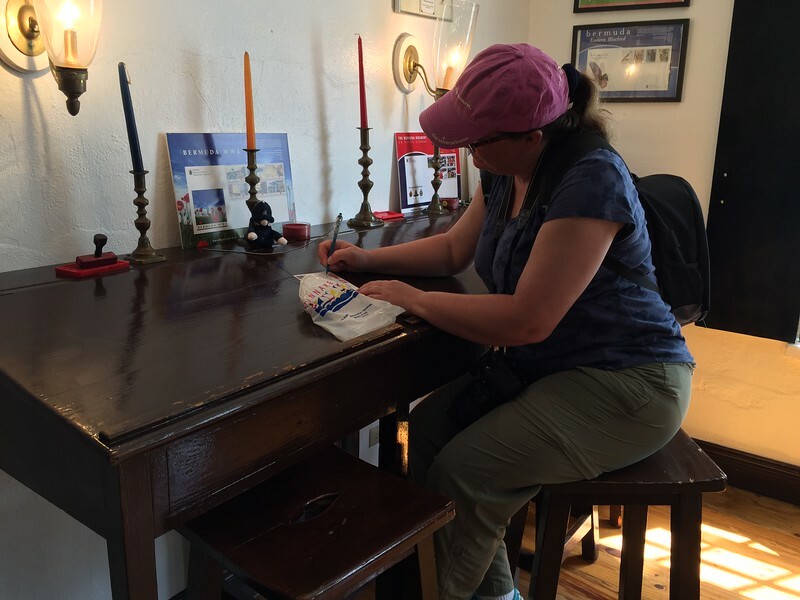 Afterwards, we went to the local post office to purchase Bermuda stamps (souvenirs). We then proceeded back to the ferry terminal to make our way back to the Summit. 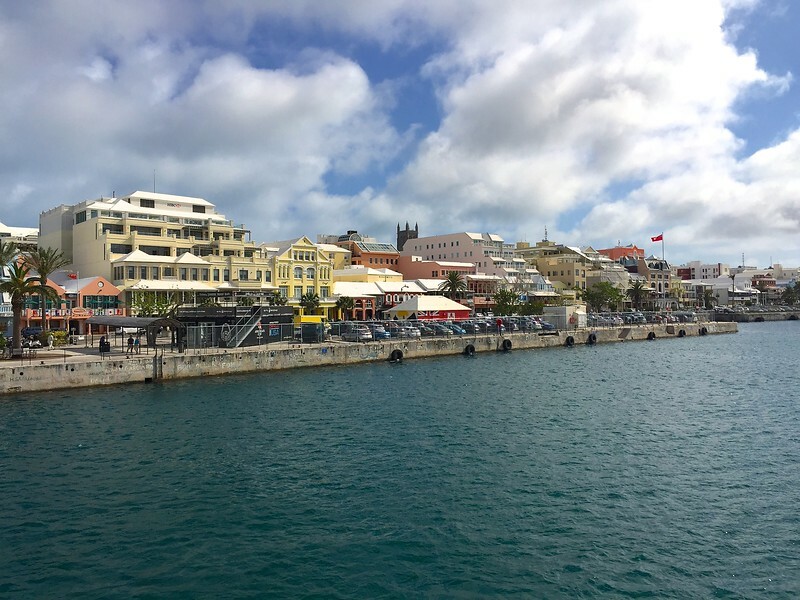 After arriving back in the Royal Naval Dockyard, we strolled around the shops for a little bit and then returned to the Ship. 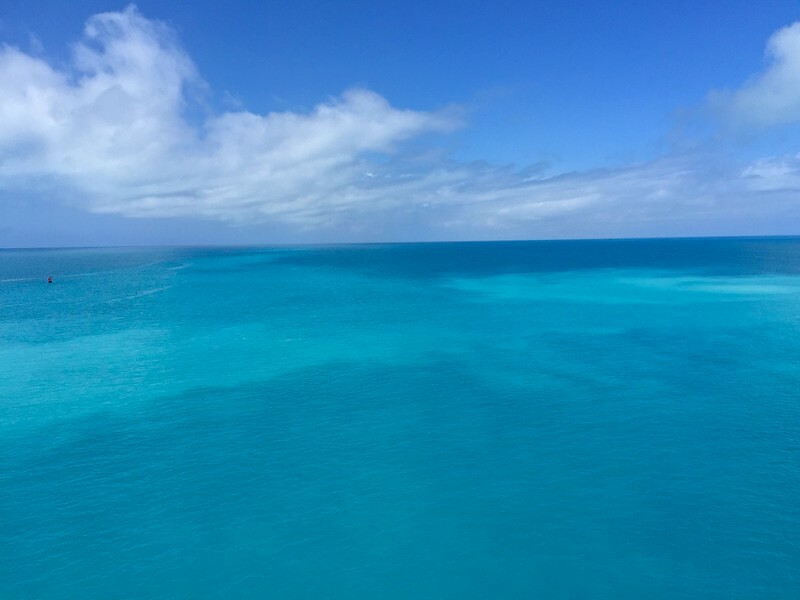 We freshened up and then headed towards the bow, where we were invited for a sail-away from Bermuda on the helipad. It was a lovely way to end our visit to this enchanting country. As we waited to sail away, we watched high-tech sail boats practice for the upcoming 35th America’s Cup. They were pretty spectacular with their speed and sharp turns. The weather was glorious for the sail away and seas were so calm, you could practically see your reflection. We sailed smoothly away from the Bermuda islands and began our trek towards the north eastern seaboard of the United States.